Welcome to Love Cambridge! Love Cambridge is the brand developed by Cambridge BID to deliver a range of events and projects designed to animate and entertain our city. These will range from the Love Cambridge Gift Card, Open Air Cinema Nights, Wimbledon screening, magazines, maps and much much more. Follow us on social media to be kept up to date with what’s going on in Cambridge! 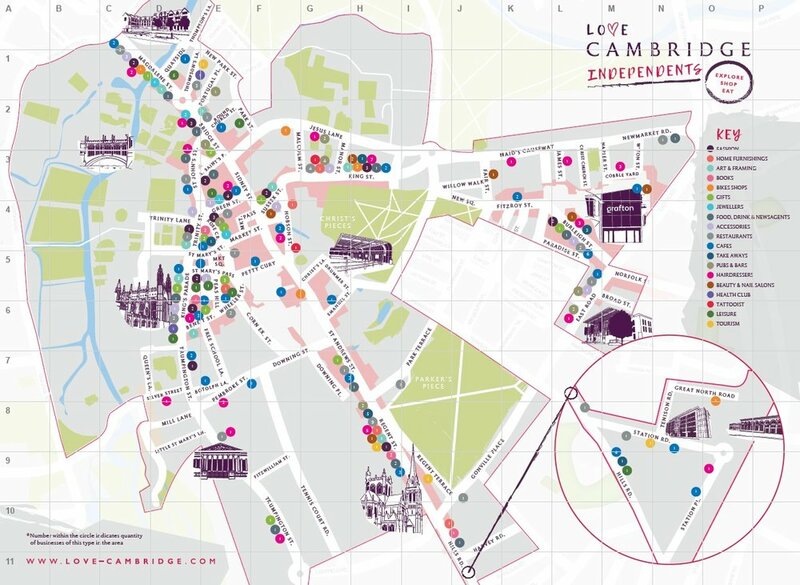 Explore and find your new favourite independent in Cambridge with this new tailored map. Featuring fashion, books, food & drinks, beauty, leisure and much more! A brand new seasonal magazine designed to showcase all that Cambridge has to offer including Shopping, The Arts, Parks & Open Spaces and the huge cultural offer. Read online here or pick up for free around the city. Restaurants from across the city will be showcasing their unique flavours, offering special two and three course menus for £10 or £15 as part of Love Cambridge Restaurant Week. The week will also see cafes having their chance to shine, with a £5 daytime offer. Cambridge Night Market and Outdoor Cinema is a series of free market events happening throughout the summer. Films and market stalls details will be announced soon! Wimbledon on the big screen will be back! Come and join us throughout the Wimbledon festival where we will be showing all of the live BBC coverage. Pop along in your lunch hour, or after work. Full details to be announced soon!